The interesting Prague National Museum cannot be missed. Head out onto the winding cobbled streets of the old town and explore. Take a morning stroll through the Royal Gardens. 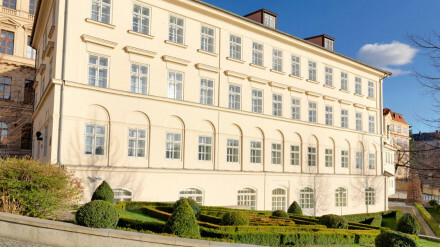 Guests staying at the hotel can use the private Emperor's entrance to the Prague Castle. 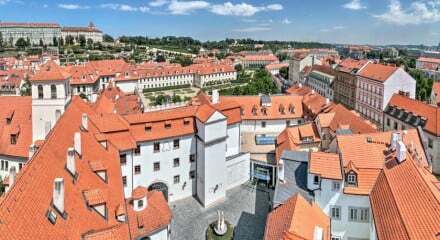 "The feel of a royal retreat runs throughout these cosy yet classic 19 guest rooms, located just below Prague Castle in the Malá Strana district." Beautifully decoarted rooms with wonderful views of the city, an ideal place to celebrate a honeymoon. 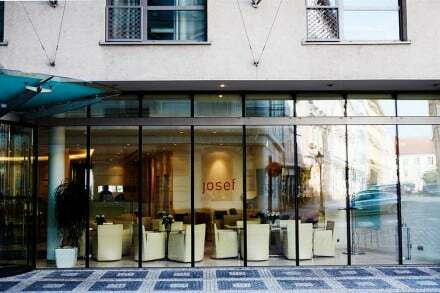 Fantastic location in the heart of the Old Town, next door to the Prague Castle and other impressive monuments. Make use of the in room writing desks and be inspired by the history that envelops this incredible hotel.